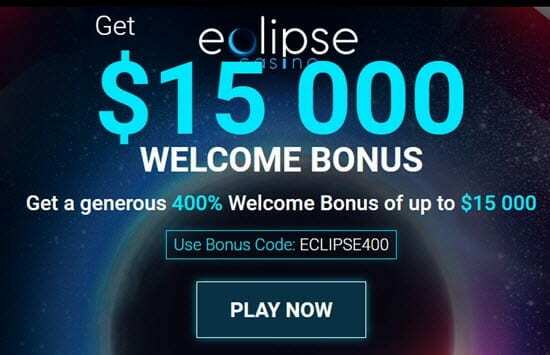 Eclipse Casino No Deposit Bonus Codes 2019 >Eclipse Casino Free Chips! Powered by Rival Software, one of the leading software providers in the gambling industry, Eclipse Casino delivers one of the most enjoyable websites to join. The game selection is out of this world, the welcome bonuses are fantastic, and the banking options are both convenient and easy. Graphics and audio are professionally presented, creating an attractive and enjoyable website for all players. You could not ask for anything more. 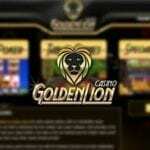 Eclipse Casino features both English and French versions of its website. Its license is from the government of Curacao, which oversees its operations. In addition to website access, on-the-go gaming is possible on iOS and Android devices. Rival is well-known for its selection of games, and it delivers everything from progressives to slots to cards to table games at Eclipse Casino. In fact, the collection of titles ranges from classic games to the latest offerings available today. Players can choose to play downloadable software, instant game play, and mobile versions of games. Popular slot games are some of the biggest draws on the site. They include Wild Safari, Panda Party, and Cirque du Slots. Plus, a number of progressive slots round out the collection of slot games, including such exciting titles as Money Magic, Pistols & Roses, Strike Gold, MegaWins, Fantastic Fruit, and Major Moolah. 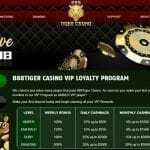 When you get to the table games, you can expect to see all of the regulars, including a wide variety of multi-hand blackjack, single-hand blackjack, American roulette, European roulette, casino poker, and baccarat. The collection of video poker games includes Aces & Faces, 3-card poker, 5-card poker, Joker Poker, Double Double Joker Poker, and Ride’em Poker. Although the selection is modest, a few specialty games are available for players. 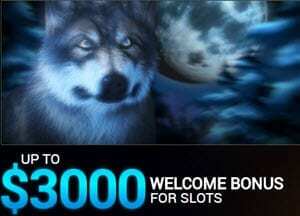 The $3000 Welcome Bonus for Slots puts a lot of money right where you want it – in your Eclipse Casino account. You can get up to 300% cash bonus on the first 3 deposits you make at the casino – up to a grand total of $3000. Just use the special bonus code “ECLIPSE300” when you first sign up and make your account as a member of Eclipse Casino. Then, you pick your favorite slot game and enjoy the fun. The $1500 Welcome Bonus for Cards gives players a 150% bonus with no max cash-out attached. You can earn as much as $1500 on your first 3 deposits when you become a new member of Eclipse Casino. Just use the bonus code “VEIL150” when you register and enter the lobby. As soon as you place your initial deposit, you are on your way. Since Eclipse Casino’s owners appreciate their players, they offer special monthly bonuses for slots and cards. Each one requires a minimum deposit, and the rewards go up accordingly. Players from the following countries cannot join Eclipse Casino: Ukraine, Canada, Belarus, and Israel. In order to ensure fairness with all games no matter who is playing or when they are playing, Eclipse Casino utilizes a Random Number Generator, a popular program designed to deliver truly random game play. In an effort to provide the highest level of security for members, Eclipse Casino uses encryption to transmit personal data, including financial details, usernames, and passwords. As a result, players receive the best possible protection at all times. From live chat to phone calls, players with questions can get the answers they need quickly. Even emails are answered promptly, giving casino members answers to the questions they have. If you live in the United States, the phone number is toll-free. Deposits are easily made through bank wires, Visa, MasterCard, Neteller, PaySafeCard, and Skrill, depending on the player’s country. Deposits are sometimes subjected to fees as well. Minimum and maximum amounts are strictly adhered to in all cases. Withdrawals can be made through bank wires, Visa, MasterCard, Neteller, and Skrill. As you might expect, verification is required and the process can take several days, particularly since nothing takes place on the weekend. First-time withdrawals generally take up to two weeks.